We do love our saloons made form hatchbacks, or ‘satchbacks’ don’t we? If you insist the only proper car has four doors and a separate boot, here’s a good, affordable choice – the SEAT Cordoba. 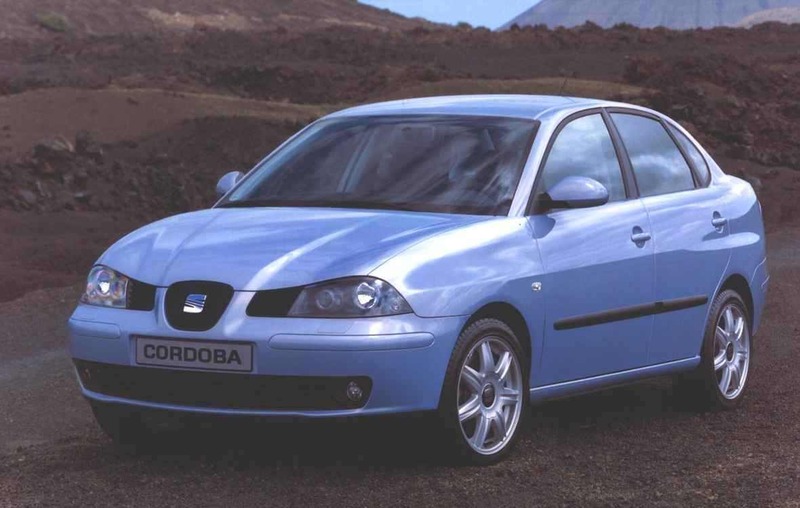 SEAT’s ever-popular Ibiza hatchback had long had a saloon variant, badged Cordoba, with the original Mk1 version running from 1992 to 2003. It’s a simple enough concept – take a five-door hatchback Ibiza body shell and stick a separate, saloon-style boot out the back. You get more boot space, albeit at the loss of a little versatility and, some might say, looks. That loss of looks is debateable, of course, but the undeniable fact is that the Cordoba’s boot is utterly massive – at 484 litres, it’s as big if not bigger than those found in cars from a class up. If your budget only stretches to a small car, but you still need to carry big suitcases, then this really is the model for you. Other than that, it’s the same as the Ibiza and this is good in a number of ways. First off, they’re incredibly reliable – even with the oldest cars fast approaching their second decade, a well-looked after Cordoba should still be game for a good few years’ of service yet. The basic 1.2-litre 70hp engine is a common find, but you’re best to avoid it – it’s slow and sluggish and if you’re going to use that boot space to its fullest, the 1.2 is really going to struggle. Worse still, you’ll work it so hard that the economy will suffer. Far better to track down a 1.4. The 1.4 petrol in either 75- or 100hp forms is a good ‘un. The basic model may only be packing an extra 5hp over the 1.2 but it has an extra 15Nm of torque to play with and that makes a huge difference. Better still, from a torque and economy point of view, is the 1.4 TDI diesel. Now, it’s a three-cylinder engine and it’s noisy as heck, but with 195Nm of torque and the potential for circa 65mpg fuel economy, the noise may well be a price worth paying. Inside, the cabins are a bit on the bare side (as is common with older SEATs), but they are robustly built and long-lasting (even if the plastic on the centre console will show every scratch you put on it). They’re comfy up front, even for tall drivers, but space in the back seats is a touch tight, especially if you have growing kids. On the mechanical front, they’re pretty close to bullet proof, but the suspension is very firm, so springs, dampers, bushes and links can get prematurely worn dealing with dreadful Irish tarmac. Listen carefully for any untoward knocks and thumps. Check all the electrical systems too, although with that bare cabin there’s usually not a lot to go wrong. And make sure, especially with the diesel, that the service history and oil changes have been stuck to. Cordobas seem to hold on to their value pretty tenaciously, but even so you’re best to buy as late a model as you can. The 1.4 TDI is the best for those contemplating long journeys or hauling heavy boot-fulls, while the 1.4 petrol is fine for all other purposes. Around €6k buys a minter from 2007-2008. The Irish love affair with the small saloon just never went away, did it? Just as well then that the Cordoba is a solid and sensible choice. Buy one now and look after it and it’ll do you for years to come.